A 4K TV with a more than reasonable price, the UN50JU6500 boasts a top end resolution while still managing to toss in a great amount of awesome features that make it an even better bargain. A lot of things need to be considered when you are in the market for a new TV, especially if you are considering buying a premium LED TV. Model, functionality, price, features and size are all things that need to be put into equation, and getting a perfect combination of all is extremely difficult. However, with the UN50JU6500 you get a great product that will definitely live up to your expectation. Currently the best option to enjoy the Ultra HD resolution content is web streaming. 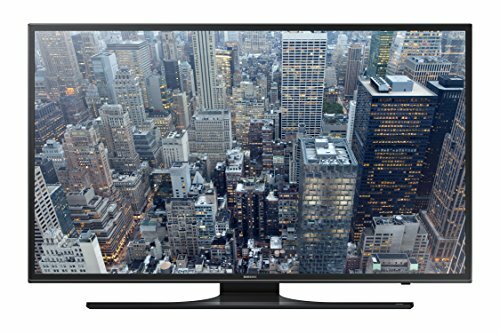 This TV has HEVC decoding which enables you to stream Ultra HD content from Netflix and other content streaming services with no additional gear required. All of available HDMI inputs feature HDCP 2.2, meaning that you are set for enjoying other 4K sources (Ultra HD Blu-Ray) when they arrive later this year. It will take a while before we get more 4K content available, but it feels great knowing that the TV will be fully ready once the content hits us. However, it is notable that Samsung’s Ultra HD up scaling is able to convert any existing signal to match the TV’s resolution, so anything you watch on the UN50JU6500 will look completely natural. The quad-core chipset featured in the UN50JU6500 allows the user to use the TV without any interruptions or hiccups. The multitasking functionality omits the need to stop watching the TV in order to browse the web for example. Whether you prefer a wired or wireless connection to the internet, you can watch your favorite TV show while chatting with a friend, or downloading a new app. Samsung’s AllShare, a feature that can be found on nearly all of Samsung’s devices, can naturally be found on this TV as well. A great thing if you are interested in sharing the content between your devices. The same way you can stream content from your phone or a tablet to your TV, you can stream content from your TV to your phone or a tablet in which case either of the devices acts as a mirror on whatever it is on the TV’s screen at the moment. The 49.5 inches are more than sufficient to provide a great viewing experience, even when viewing the screen from afar. The contrast levels are pretty impressive, and they are additionally improved with UHD dimming. Blur reduction featured in Motion Rate 120 does the job impressively, providing the viewer with a sharp and clear picture.